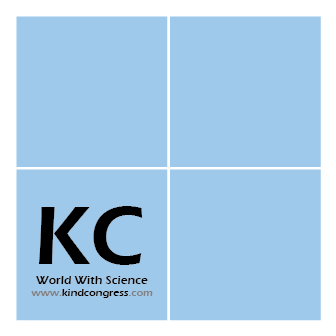 Wound Care Congress 2019 is an event designed for the renowned experts working in the field of wound Care, Nursing, Infectious diseases, Public health, Nutrition, diabetes, Oncology and more. It aims at bringing the Wound care specialists, Physicians, Pharmacologists, Academic Researchers, Surgeons, Nurses, Diabetologists, Nutritionists, Oncologists, Psychologists and other experts working in the related area of wound care to share their experience at the global platform for the well-being of the patients. 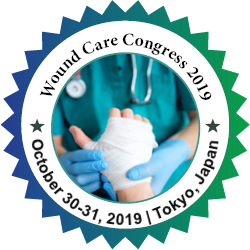 Wound Care-2019 will focus on the Advanced Techniques, Case studies, Cure, prevention and research experience done in the related area of wound care and nursing. This eminent gathering will learn about the latest wound care research and advanced studies to improvise drugs to treat various complex and chronic wounds and associated infections to support practice. The summit is a Rendezvous of the minds for Researchers, Academic lecturers and Medical practitioners, Nurses who are working towards more integrated approaches and effective responses to address community health needs to support public health practices. This is your best opportunity to reach the largest assemblage of participants around the world. Conduct presentations, distribute information, meet with current and potential scientists, make a splash with new drug developments and receive name recognition at this 2 day event. World renowned speakers, the most recent techniques, developments and the newest updates in wound care are hallmarks of this conference. Looking forward to meet you at Tokyo, Japan! USA: Global wound care market in USA was valued at $ 684.05 billion in 2015 and is expected to reach $ 1,101 billion by 2023, at over 6.2% CAGR. Europe: The surgical wound care market in Europe is projected to reach $ 850 billion by 2021, at a CAGR of 5.90%. Middle East: Global wound care market in the United Arab Emirates has witnessed 9% value growth recorded in 2018 was a better performance than the 7% value CAGR witnessed over 2017. Asia Pacific: The Asian global bioactive wound management market is expected to grow at a CAGR of 13.85% during the period 2016 to 2020. Globally North America is the largest market for Wound Care, large share of this market is focused on the Enhancement of diabetes mellitus and obesity in people around the world. The North American market for Wound Care is expected to grow at a CAGR of 6.7% and is expected to reach at USD 14.9 Billion by the end of the forecasted period. Europe is the second-largest market for Wound Care & Wound healing, which is expected to grow at a CAGR of 7.2%. Key Players for Wound Care Market: 3M Company (U.S.), Baxter International, Inc. (U.S.), Coloplast A/S (Denmark. ), Convatec Healthcare B.S.A.R.L (U.S.), Covidien PLC (Ireland), Derma Sciences, Inc. (U.S.), Ethicon, Inc. (U.S.), Hollister, Inc. (U.S.), Ethicon, Inc. (U.S.), Acelity L.P/ (U.S.), Mölnlycke Health Care (Sweden), Smith & Nephew (U.K), Dealmed Medical Supplies LLC (U.S.), Safetec of America, Inc. (U.S.), Care-Tech Laboratories Inc (U.S.), Medex Supply Distributors Inc. (U.S.), American Healthcare Products, Inc. (U.S.), Apollo Safety, Inc. (U.S.), Robinson Healthcare Limited (U.K), Systagenix Wound Management, Limited (U.K), HemCon Medical Technologies Europe, Ltd. (U.K), Advanced Protein Systems Ltd. (U.K), Robinson Healthcare Limited (U.K), Advanced Medical Solutions Group plc (U.K), Avita Medical Limited (U.K), Rikco International, LLC (U.S.), Eucare Pharmaceuticals (U.S.), Systagenix Wound Management Limited (U.K), HemCon Medical Technologies Europe, Ltd. (U.S.), Johnson & Johnson (U.S), Molnlycke Health Care (U.S), Shandong Wego Newlife Medical Device (U.S). Advanced Wound Care Market (AWC Market) was valued at $7,117 million, and is expected to reach $12,454 million by 2022, supported by a CAGR of 8.6%. 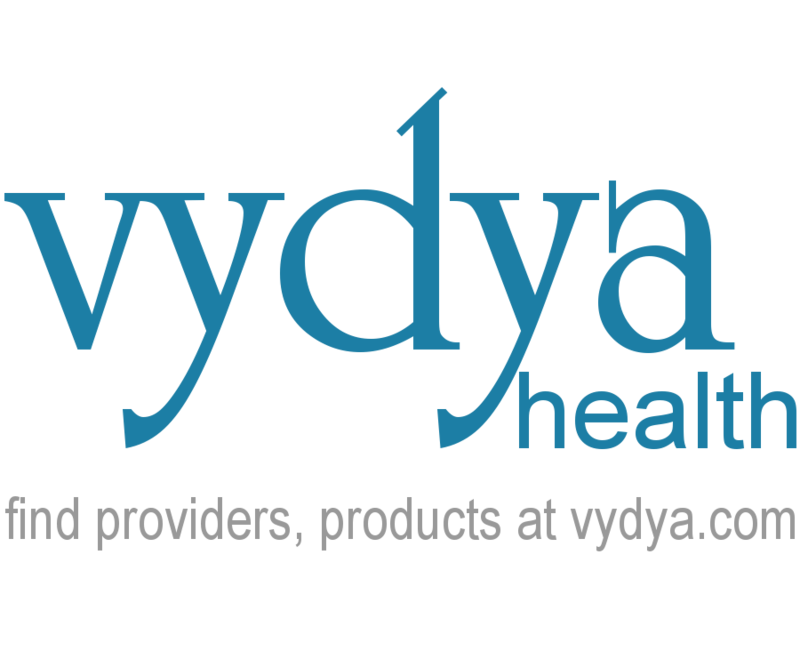 Advanced wound care products and traditional wound care products are used to treat acute and chronic wounds. Chronic wounds take considerable time to heal and are expensive to treat. Due to its high cost, advanced wound care has emerged as a standard solution for treating chronic wounds. Advanced wound care products are gradually replacing the traditional wound care products due to their efficacy and effectiveness in managing wounds by enabling faster wound healing. The major factors attributed to the advanced wound care market growth are the rapid increase in the incidence of chronic diseases, such as diabetes mellitus, due to a change in lifestyle factors and the attempts to reduce the duration of hospital stays to bind the surgical costs. In addition, the demand for the advanced wound care market is driven by favorable reimbursement scenario, increase in healthcare expenditure by the government, and rise in inclination towards products that enhance therapeutic outcomes. However, the high cost of advanced wound care products coupled with low awareness, especially in underdeveloped countries, such as Afghanistan, Nigeria, and Bhutan, are expected to restrain the market growth. American Academy of Wound Management (USA), American Diabetes Association, American Professional Wound Care Association, Association for the Advancement of Wound Care (USA), Australian Wound ManagementAssociation (AWMA), Canadian Association of Wound Care, European Tissue Repair Society, National Coalition for Wound Care (NCWC) (USA), National Pressure Ulcer Advisory Panel, National Alliance of Wound Care (NAWC), South Australian Wound Management Association, The UK Tissue Viability Society, The UK Wound Care Society, Undersea and Hyperbaric Medical Society, Wound Care Association of NSW Inc, Wound Healing Society, Wound Management Association of Ireland and Wound Ostomy & Continence Nurses Society. 3rd Transatlantic Wound Science and Podiatric Medicine Conference, 47th Annual Western Trauma Association Meeting, 6th Congress of the World Union of Wound Healing Societies, AALNC Annual Forum, AAOS 2017 Annual Meeting, Abu Dhabi Wound Care Conference, 49th Annual Meeting of American Burn Association, American Diabetes Association 77th Scientific Sessions, 31st Annual Congress of American College of Phlebology, American Society for Pain Management Nursing (ASPMN) National Conference, American Surgical Association Annual Meeting, Annual Translational to Clinical (T2C) Regenerative Medicine Wound Care Conference, Canadian Association of Wound Care (CAWC) Conference and European Wound Management Association (EWMA) Conference. Conclusion: The report gives the clear picture of current market scenario which includes historical and projected market size in terms of value and volume, technological advancement, macro economical and governing factors in the market. The report provides details information and strategies of the top key players in the industry. With this increasing growth of market the dissemination of knowledge could occur only through international meetings and conferences. International Conference on Wound Care, Tissue Repair & Regenerative Medicine happening at Tokyo, Japan during October 30-31, 2019 would address the recent advancements happening in this field with a series of key Note, Plenary sessions, Workshops, Symposiums and discussions represented by renowned speakers from more than 40 nations. Conference Series LLC Ltd invites all the participants from all over the world to attend International Conference on Wound Care, Tissue Repair & Regenerative Medicine during October 30-31, 2019 in Tokyo, Japan, which includes prompt keynote presentations, Oral talks, Poster presentations and Exhibitions. Wounds are the sort of injuries that happen relatively quickly throughout that skin is torn, cut or perforated or blunt trauma causes a contusion. It ought to be caused by associate act, sort of a shot, fall, or surgical procedure by associate disease or by an underlying condition. The classes and causes of wounds are wide go, and health care professionals have many various ways in which of classifying them. They're going to be chronic, just like the skin ulcers caused by diabetes mellitus, or acute, sort of a shot wound or animal bite. Wounds could also be expressed as open, throughout that the skin has been compromised and underlying tissues are exposed, or closed, throughout that the skin has not been compromised, but trauma to underlying structures has occurred. Infected wounds are wounds within which bacteria or different microorganisms have colonized, inflicting either a delay in wound healing or deterioration of the wound. Most wounds are generally contaminated by microorganism. However, infected wounds result once the body's immune defenses are flooded or cannot deal with traditional bacterial growth. An infected wound could also be characterized by raised or sustained pain, redness or swelling, pus discharge, unhealthy odor or non-healing of the wound. Persons with weakened immune functions, like diabetics or the aged, are in danger for wound infections, since they cannot defend infections simply. The hindrance of wound infection ought to be a primary management objective for all health care practitioners. An Ulcer could be a sore on the skin or a mucous membrane, accompanied by the disintegration of tissue. Ulcers may end up in complete loss of the epidermis and infrequently portions of the dermis and even subcutaneous fat. The injuries from that ulcers arise will be caused by a large kind of factors; however the main cause is impaired blood circulation. Especially, chronic wounds and ulcers are caused by poor circulation, either through cardiovascular problems or external pressure from a bed or a wheelchair. An awfully common and dangerous variety of skin ulcers are caused by what are referred to as pressure-sensitive sores, a lot of normally referred to as bed sores and that are frequent in people who are infirm or who use wheelchairs for long periods. Different causes manufacturing skin ulcers include bacterial or viral infections, fungal infections and cancers. Blood disorders and chronic wounds may result in skin ulcers also. Ulcers that heal at intervals twelve weeks are typically classified as acute and longer-lasting ones as chronic. Wound infection in diabetic patients is a public health problem. Infection of foot ulcers is usually seen in diabetic patients and may be a substantial morbid event. Diabetic foot ulcer is an open sore or wound that most usually happens on the bottom of the foot in about 15 % of patients with diabetes. Of these who develop a foot ulcer, six % are hospitalized because of infection or different ulcer related complication. Ulcers type because of a mixture of factors, like lack of feeling within the foot, poor circulation, foot deformities, irritation like friction or pressure and trauma, furthermore as period of diabetes. The first goal within the treatment of foot ulcers is to get healing as shortly as possible. The quicker the healing, the less probability for an infection. Lymphedema is abnormal swelling caused by a lymphatic system. It is typically found within the arms or legs and may also have an effect on the trunk, face, or genitalia. Primary lymphedema is a congenital problem caused by a decrease within the range or size of the lymphatic vessels. Secondary lymphedema results from harm caused by surgery, radiotherapy, injury, infection, venous insufficiency, scar tissue, cancer and inflammation. It is a result of an accumulation of protein-rich fluid in superficial tissues. Early stages of dropsy could also be quickly reduced by easy elevation of the limb. While not correct treatment, however, the protein-rich swelling causes a progressive hardening of the affected tissues, together with recurrent cellulitis and probably fungal infection. In general, the foremost severe wounds occur within the most advanced stages of lymphedema. Correct identification, early detection and acceptable treatment will effectively slow the progression of lymphedema. Nutrition plays a vital role in wound healing and wound care practices and nutritionary support must be considered an elementary part of wound management. Wound healing is a complex process; it is the method of substituting wounded tissue with new tissue made by the body that demands a raised consumption of energy and specific nutrients, notably protein and calories. Poor nutrition before or throughout the healing method might delay healing and impair wound strength, creating the wound additional vulnerable to breakdown. Neglecting the nutritional health of an individual with a wound will compromise the whole wound management process. While not adequate nutrition healing could also be impaired and prolonged. Improved nutritionary status permits the body to heal wounds like the accelerated wound healing seen with nutritionary supplementation. Wound dressings and devices form an important segment of the medical and pharmaceutical wound care market worldwide. Dressings are classified in a number of ways depending on their function in the wound (wound debridement, antibacterial agents, occlusive, absorbent, adherence), type of material employed to produce the dressing (e.g. hydrocolloid, alginate, collagen) and the physical form of the dressing (ointment, film, foam, gel). Dressings are further classified into traditional dressings, modern and advanced dressings, skin replacement products and wound healing devices. The ideal dressing should achieve rapid healing at reasonable cost with minimal inconvenience to the patient. Wound care and dressing selection should be a holistic, structured process involving close cooperation between medical and nursing staff. Three factors must be considered when assessing the requirement for a wound dressing which include general health of the patient, local environment of the wound and specific properties of the dressing. Wound healing is a specific biological process related to the general phenomenon of growth and tissue regeneration. Wound healing progresses through a series of interdependent and overlapping stages in which a variety of cellular and matrix components act together to reestablish the integrity of damaged tissue and replacement of lost tissue. Wound healing has four continuous phases including haemostasis, inflammation, proliferation and wound remodelling with scar tissue deposition. In an attempt to reduce the wound burden, much effort has focused on understanding the physiology of healing and wound care with an emphasis on new therapeutic approaches and the continuing development of technologies for acute and long term wound management. The clinician working in wound care needs to become a detective. All possible factors and cofactors that may influence healing must be identified. Due to the multifactorial nature of chronic wounds, a thorough health and physical assessment is mandatory. Wound management is a significant and growing health burden on the community. Wound management can be a complex treatment area, with chronic wounds, acute wounds and surgical wounds each having their own characteristics; but wounds, much like the people affected by them, need to be treated on an individual basis. Successful treatment of difficult wounds requires assessment of the entire patient and not just the wound. Considerable progress has been made on advanced products in the field of wound healing and a number of new therapeutic approaches are now available. It is hoped that continued advances will come about which, when combined with basic medical and surgical approaches, will accelerate the healing of chronic wounds to an extent that is still not possible with current therapeutic agents. It may also be expedient to employ individualized therapeutic approaches for treating specific wound types and individuals using emerging tissue engineering technologies. Such advanced approaches can help treat chronic wounds in a clinically efficient manner. As the science of wound care evolves into a more complex environment, nursing is challenged to meet this complexity. Traditionally and generically, wound healing has been under the patronage of basic nursing care practice encompassing dressings and infection control but also promotion of therapeutic nutrition, mobility, psychosocial support, hygiene, and comfort. At all levels, in practice settings spanning from critical care through palliative care, from hospitals to battlefield, and from gene therapy to gauze, it is the nurse who is principally caring for patients with wounds. The role of nursing in wound care from a historical and evolutionary perspective helps to characterize the trend towards advanced practice nursing in the wound care specialty. Delineation of nursing roles consistent with Nursing Education, licensure and certification will enhance collaboration with the wound team and achieve best outcomes for patients. Pain is a typical affair of patients with chronic wounds. Wound infection can postpone healing and cause and intensify wound pain. The principle underlying cause of infection associated wound pain is the inflammatory reaction stimulated through the infecting. This response motives the discharge of inflammatory mediators and stimulates the creation of enzymes and free radicals, which can cause tissue damage. Dressing changes are a predominant contributor to wound pain. Pain management must encompass pain evaluation before, during and after each dressing change to make sure that the affected person’s pain is managed successfully. Such progressing assessment will allow healthcare professionals to identify any triggers that can be modified or avoided to reduce pain. The non-healing wounds occur when the level of oxygen in and across the wound drops under a particular stage and your body's natural cure system and ability to battle infection emerge as generally impaired. Chronic wounds such as these require specialized wound care and mostly, hyperbaric remedy healing. Patients who can benefit from hyperbaric oxygen therapy include Patients with non-healing wounds, Cancer patients with tissue damage as a result of radiation therapy, certain advanced diabetic foot wounds and chronic bone infections. Hyperbaric oxygen treatments in chosen patients can facilitate healing by increasing tissue oxygen tension, thus providing the wound with more favorable conditions for repair. Therefore, HBO therapy can be most important factor to any comprehensive wound care program. The field of regenerative Medicine has been focusing cutting edge innovations to heal cutaneous wounds. There are various regenerative medicine advancements being researched for the treatment of skin diseases, wounds and burns. The larger part of innovations is being produced for the treatment of ulcers connected with diabetes and chronic or complex wounds. Regenerative Medicine including cellular therapy and tissue engineering is a quickly developing field that is being examined as an option for the restoration of function in many diseases. The application of stem cells to wounds is advantageous, as stem cells have the ability to differentiate and replace the lost or damaged tissue, as well as influence multiple biological pathways at once via paracrine signaling. Stem cell biology and regenerative medicine are rapidly expanding fields. The introduction of new technology and the emergence of novel stem cell populations have allowed researchers to take a more in-depth approach to the study of specific diseases and biological processes. The treatment of burn wounds has evolved over many years via clinical and preclinical studies. Big advancements were made in patient care, which include monitoring wound healing, developing novel graft and coverage options, inflammation control, dietary needs optimization, and testing unique pharmacological interventions. Current techniques to burn management are based totally on an understanding of the biology and body structure of human skin and pathophysiology of the burn wound. Improvements are also needed to accelerate wound closure, healing and to improve mental care to promote successful reintegration. Studies in infection, contamination, stem cells, grafting, biomarkers, infection control, and rehabilitation will maintain to enhance individualized care and create new treatment options. Future studies will maintain to discover novel goals and treatment paradigms to enhance burn wound care. We would like to thank all of our wonderful keynotes, speakers, conference attendees, students, associations, media partners, exhibitors and guests for making Wound Care 2018 a successful event. Conference Series hosted the International Conference on Wound Care, Tisue Reapir and Regenerative Medicne during October 5-6, 2018 Los Angeles, Southern California, USA with the theme “Advanced wound healing techniques for the cure and care of wounded patients”. Benevolent response and active participation was received from the Editorial Board Members of supporting International Journals as well as from the leading academic scientists, researchers, research scholars, students and leaders from the fields of Wound Care and Regenerative Medicine who made this event successful. Wound Care 2018 witnessed an amalgamation of peerless speakers who enlightened the crowd with their knowledge and confabulated on various new-fangled topics related to the fields of Wound Care 2018. We are also obliged to various delegate experts, company representatives and other eminent personalities who supported the conference by facilitating active discussion forums. We sincerely thank the Organizing Committee Members for their gracious presence, support, and assistance towards the success of Wound Care 2018. With the grand success of Wound Care 2018, Conferenceseries is proud to announce the "International Conference on Wound Care, Tissue Repair and Regenerative Medicine” to be held during October 30-31, 2019 at Tokyo, Japan.